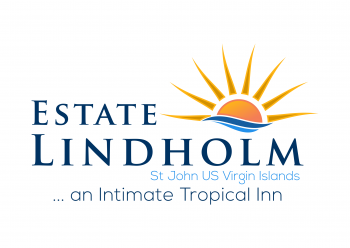 Post hurricane repairs and renovations have largely been completed and Estate Lindholm has been accepting reservation since Dec 15, 2017. Located within the Virgin Islands National Park and overlooking Cruz Bay harbor. Orchids, palms and flowering trees frame your view of Cruz Bay and the Virgin Islands. Sunsets are one of our best assets! Catch some amazing St John sunsets from our harbor view rooms, pool side and garden seating areas! Originally settled in the 1720’s by Danish planters, today the site of Estate Lindholm is an intimate tropical inn set amongst former Danish ruins. Paradise Found. From the moment we arrived we felt at home. The view… amazing sunsets! Already booked for next year!